This was quick and delicious! Thank you! 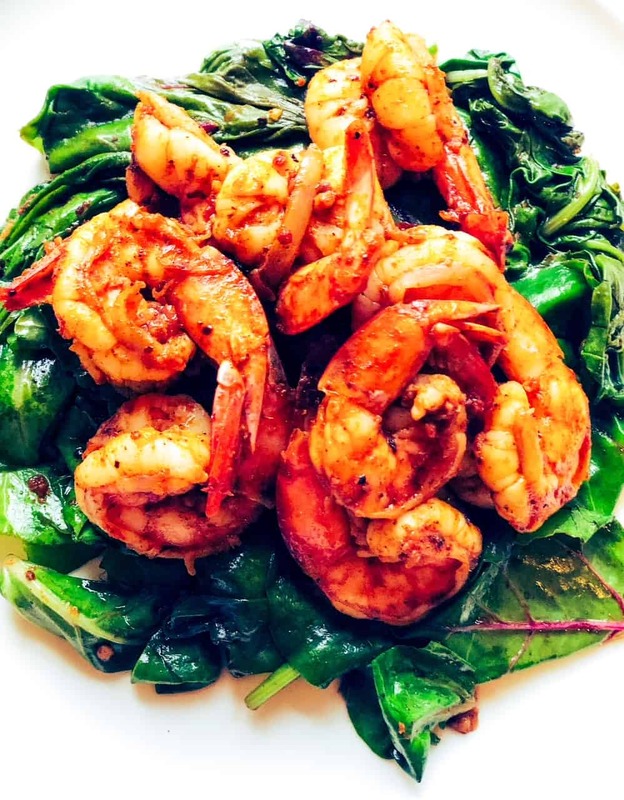 You can’t go wrong with shrimp and greens! It looks so tasty. I have to try! Adding this recipe to my Recipe Rolodex!!! Looks delicious!!! Curried shrimp is always a great dish! I love that you’ve added them atop greens , which are sautéed! Yum! Thanks! Yes, gotta get the greens in! I love the sound of this dish for an easy dinner! Yes! Sometimes its the easy things that pull us through! This looks amazing and so simple and quick to make – Can’t wait to try it!! Indeed it is! I hope you enjoy it!